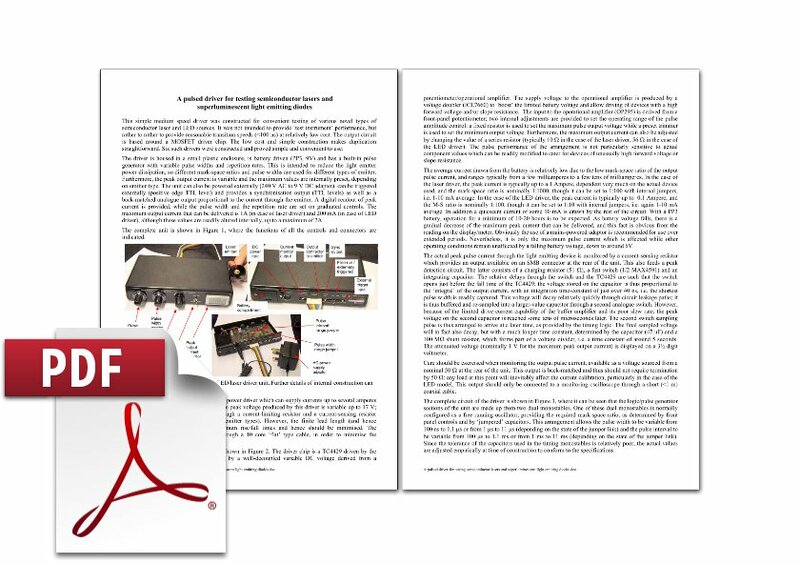 Other documents about systems and instrumentation related to our optical research, such as the LED pulse generator (left), and the heated microscope stage (right). Four quadrant detectors are very useful when performing alignment of optical systems, particulary when laser beams are involved. 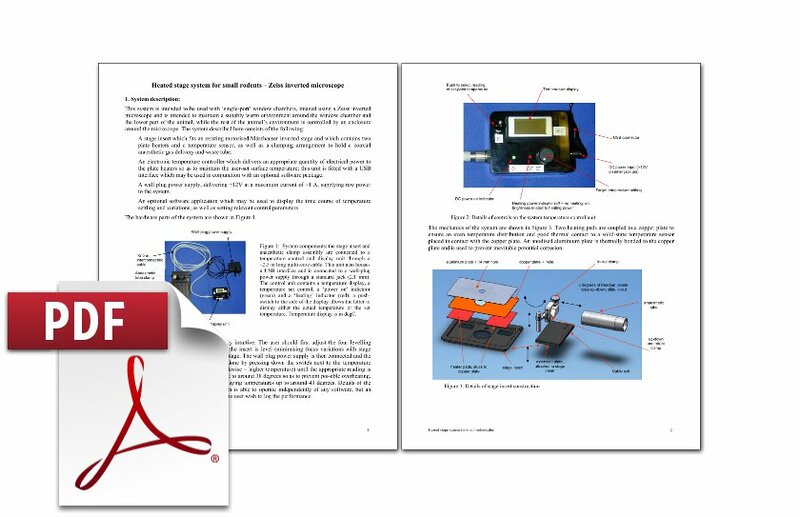 This document outlines a 4-quadrant Photodiode detector system. 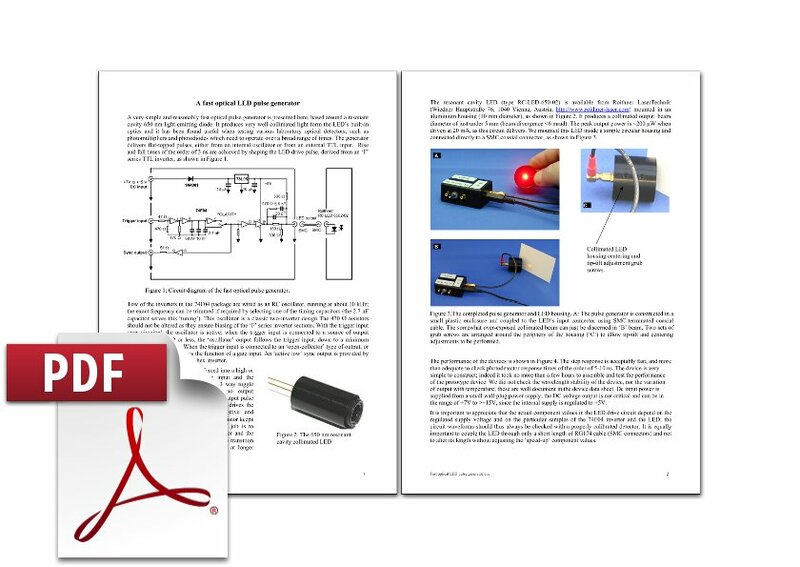 A very simple and reasonably fast optical pulse generator is presented here, based around a resonant cavity 650 nm light emitting diode. 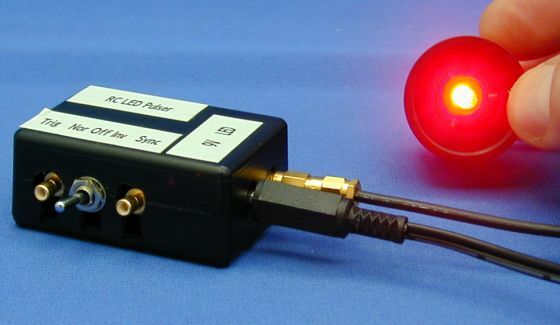 It produces very well collimated light form the LED’s built-in optics and it has been found useful when testing various laboratory optical detectors, such as photomultipliers and photodiodes which need to operate over a broad range of times. 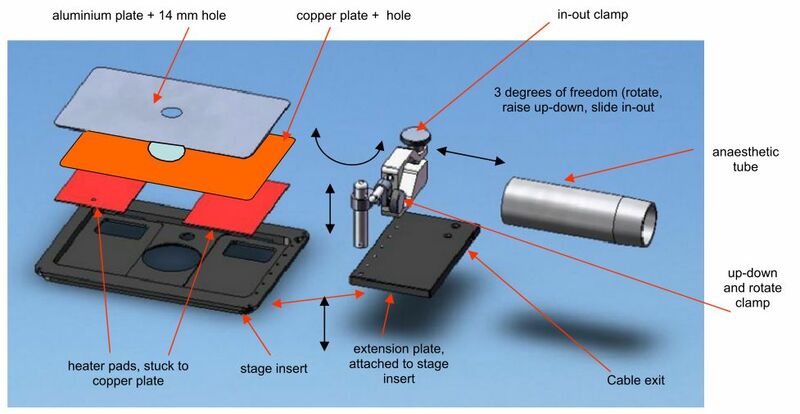 A heated microscope stage system for small rodents. 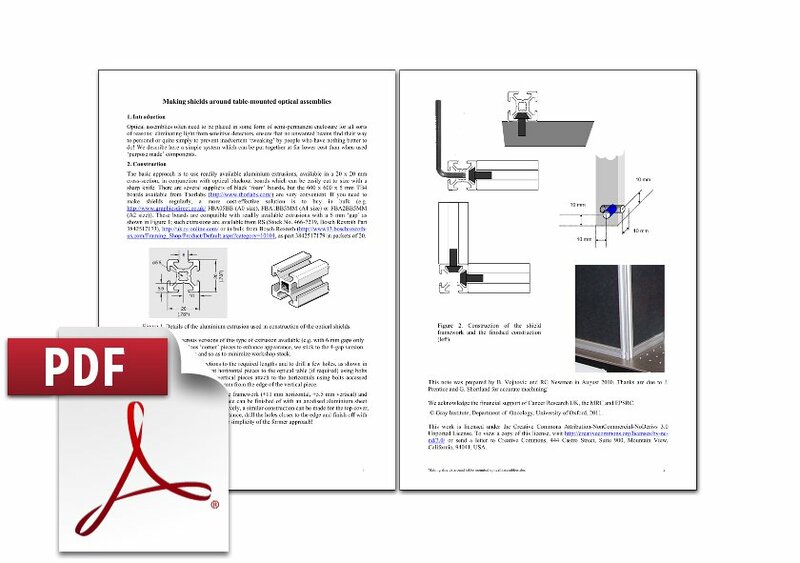 Optical assemblies often need to be placed in some form of semi-permanent enclosure for all sorts of reasons: eliminating light from sensitive detectors, ensure that no unwanted beams find their way to personel or quite simply to prevent inadvertent ‘tweaking’ by people who have nothing better to do! We describe here a simple system which can be put together at far lower cost than when used ‘purpose made’ components. It is important to keep small rodents warm during surgical and imaging procedures. 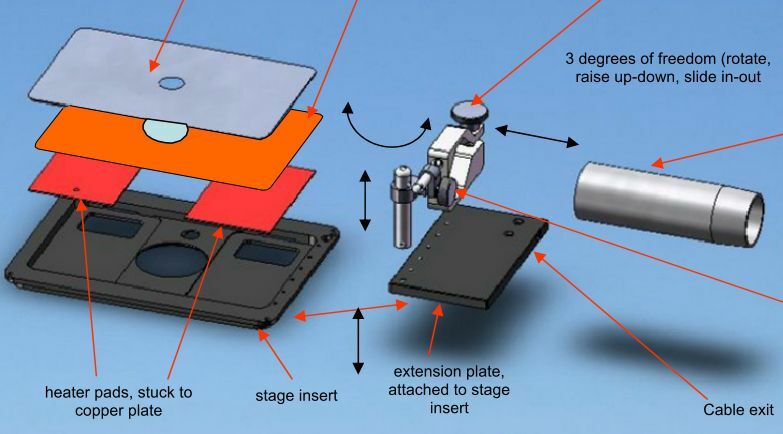 We describe here a system used for many years on an inverted microscope. When measuring low light levels, a vacuum tube photomultiplier tube or some form of solid-state detector which relies on multiplication (e.g. 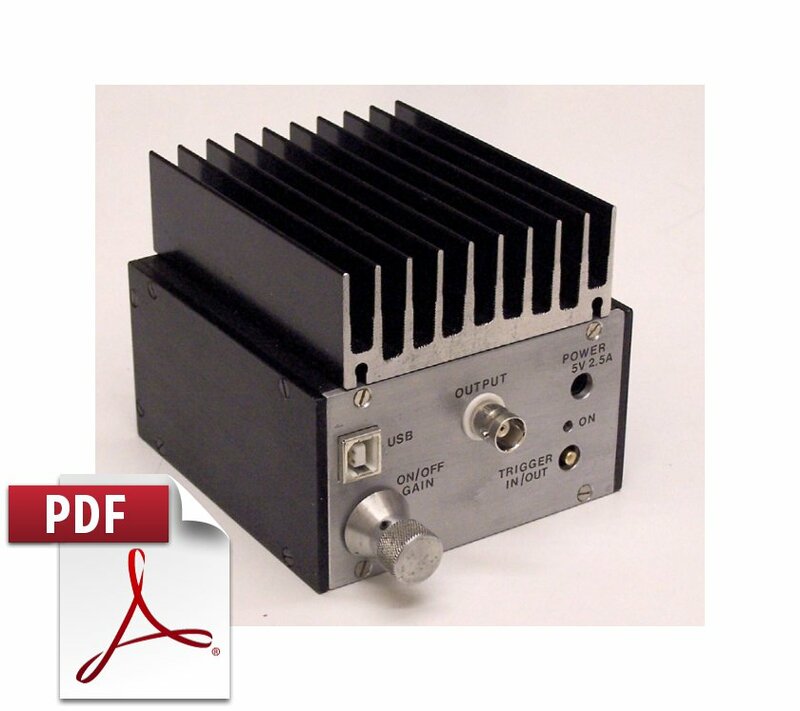 Avalanche diode, Geiger avalanche diode, silicon photomultiplier) is normally used. Vacuum tube photomultipliers have the advantage that a large photosensitive area is available, in contrast to most solid-state devices, which, in general, allow detection over a small area. 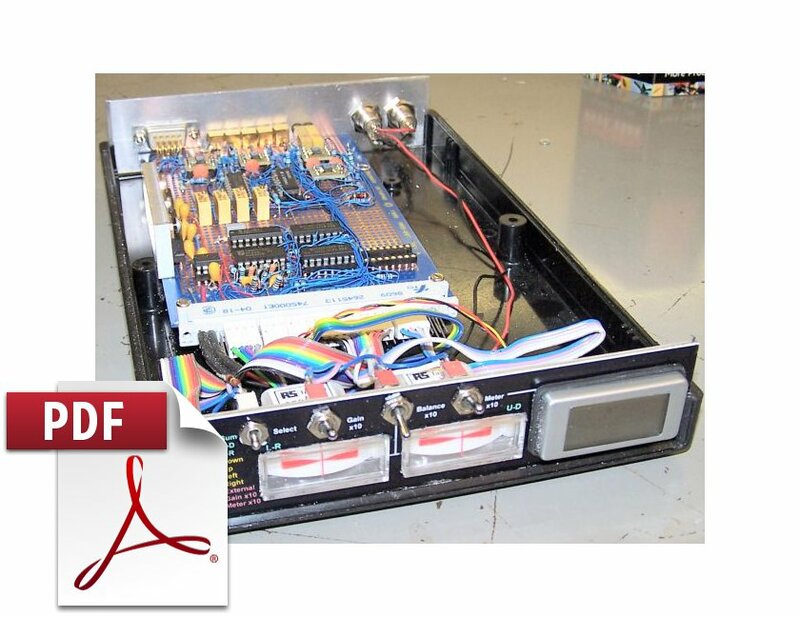 Avalanche photodiodes make excellent detectors, and here we describe a detector assembly developed around a large area device. 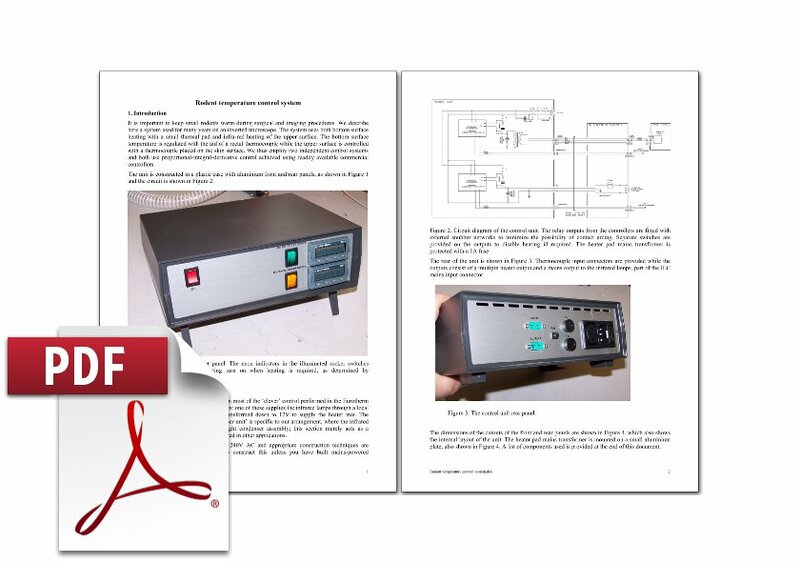 This simple medium speed driver was designed for convinient testing of various novel types of semiconductor laser and LED sources.